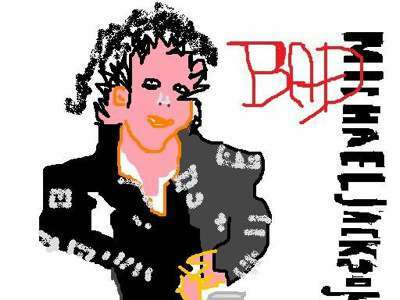 A fond farewell to MS Paint. Today Microsoft announced that MS Paint, the graphic design program derided by designers (but beloved by middle schoolers) will not be included in the Windows 10 Fall Creator Update–marking the end of an era. Opening up Paint and scratching out big, clunky pixels is a rite of passage for a certain generation of designers (I'm looking at you, 90's kids). For many of us, it was the first design program we ever opened and, while it wasn't much, that magic of moving pixels hooked us for an entire career. Most of us have moved on to Photoshop and beyond–but there are some dedicated souls who have the skill (and the patience) to make truly extraordinary works of art in Paint–and we'll get to those. I promise. 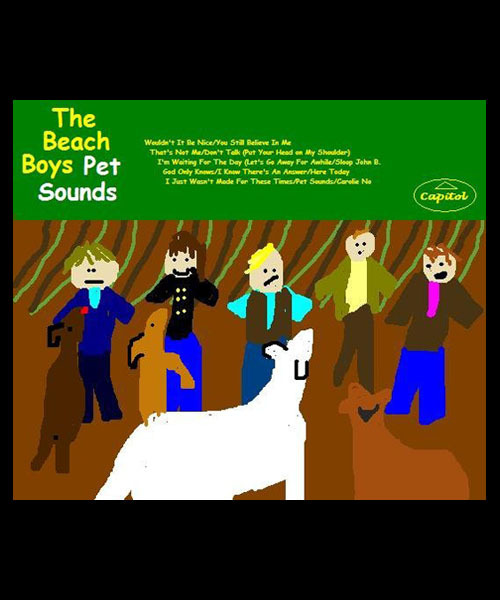 "So bad it's good" MS Paint art. 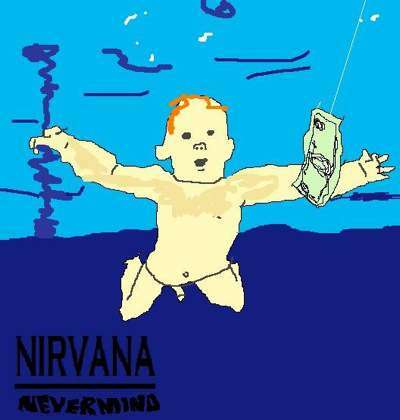 Paint my Album invites users to recreate their favorite album art using only MS Paint. 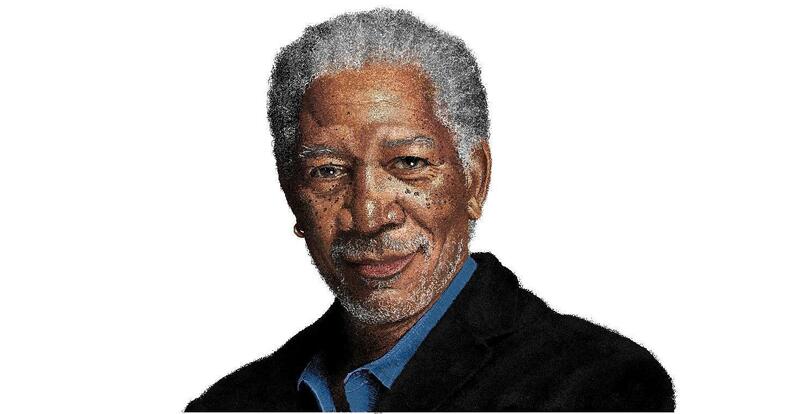 This portrait of Morgan Freeman was created by reddit user sonofjay. He detailed the step-by-step process on imgur. Pretty amazing! 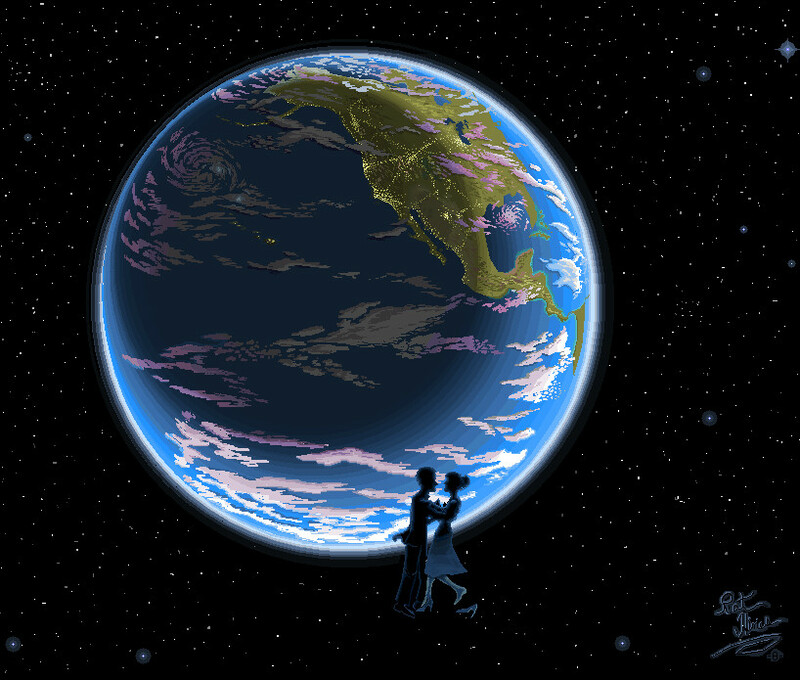 Artist Patrick Hines created “Zero-G Slowdance” in MS Paint. 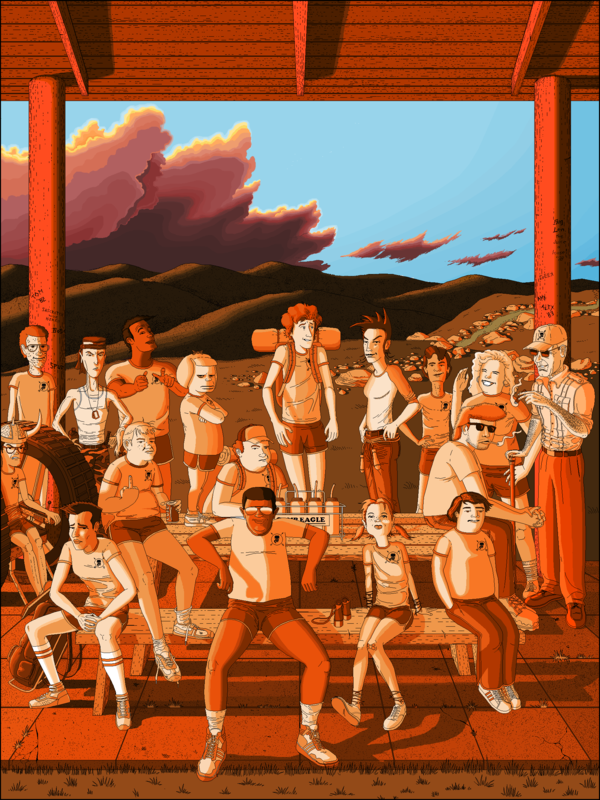 Hines works exclusively in MS Paint and even used it to illustrate an entire graphic novel. You can find more of his amazing MS Paint work on Deviant Art. Here’s another of Patrick Hines’ MS Paint Pieces. 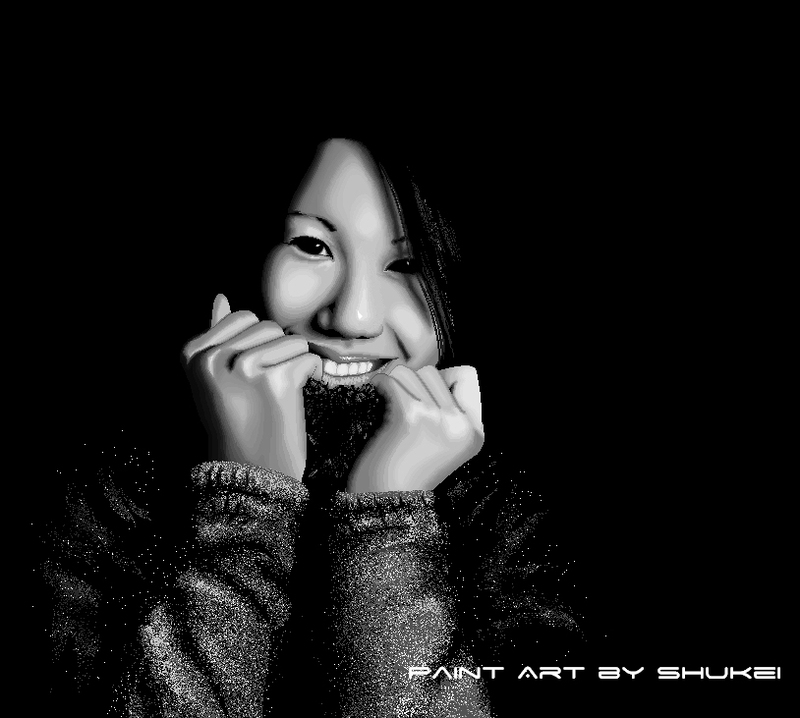 The most amazing part of this black and white portrait from Felipe Velasquez is that he took the difficulty level up a notch–no tablet like those cheaters. Oh no, he used a mouse. You can find more of Velasquez’s work here. 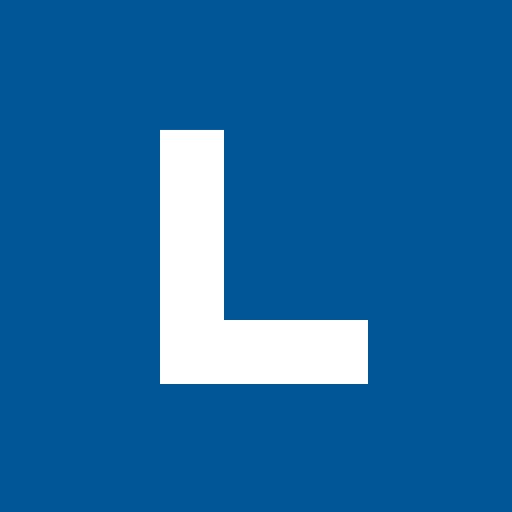 And perhaps the most amazing of these dedicated MS Paint practioners is Hal Lasko, who was a 98 year-old, vision-impaired former graphic designer. 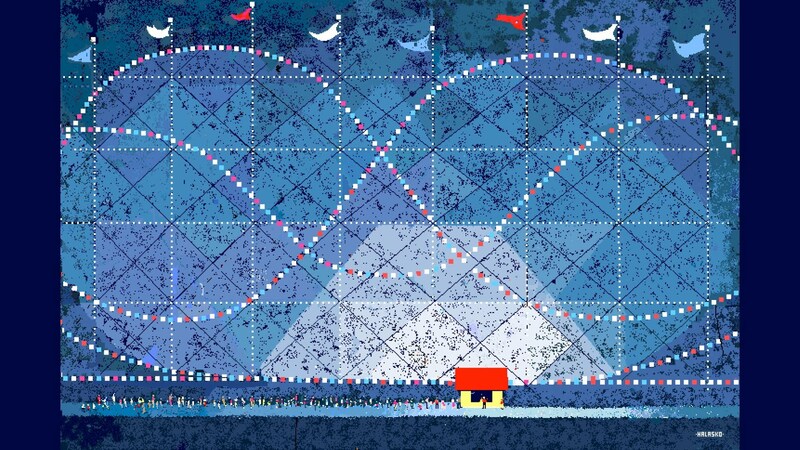 He began creating with MS Paint in Windows 95, using extreme zoom to paint his pictures pixel by pixel. You can check out his website at HalLasko.com to learn more about him and buy prints. We asked Corey, one of our designers–and someone who grew up with MS Paint–to draw a fitting tribute. 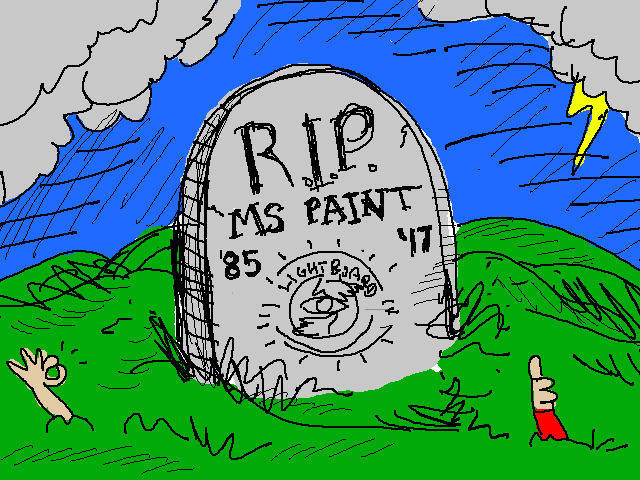 RIP MS Paint, you will be missed.